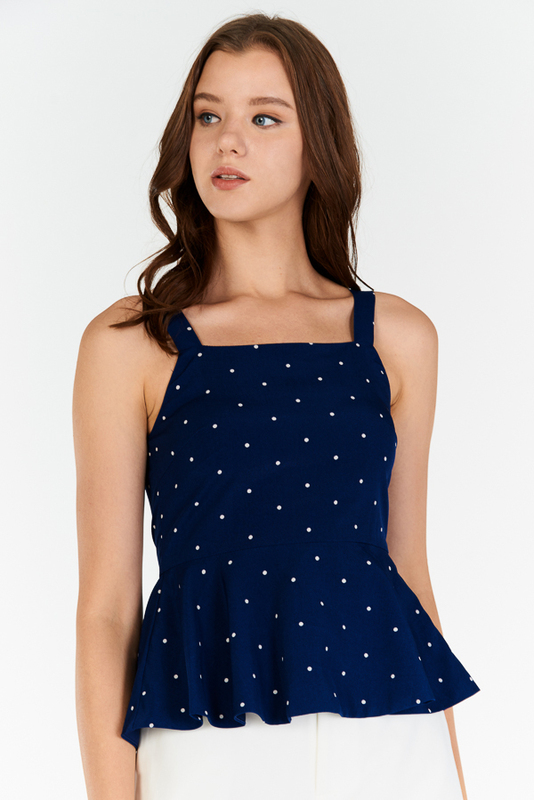 Made of chiffon polyester blend, lined at bodice and non sheer. 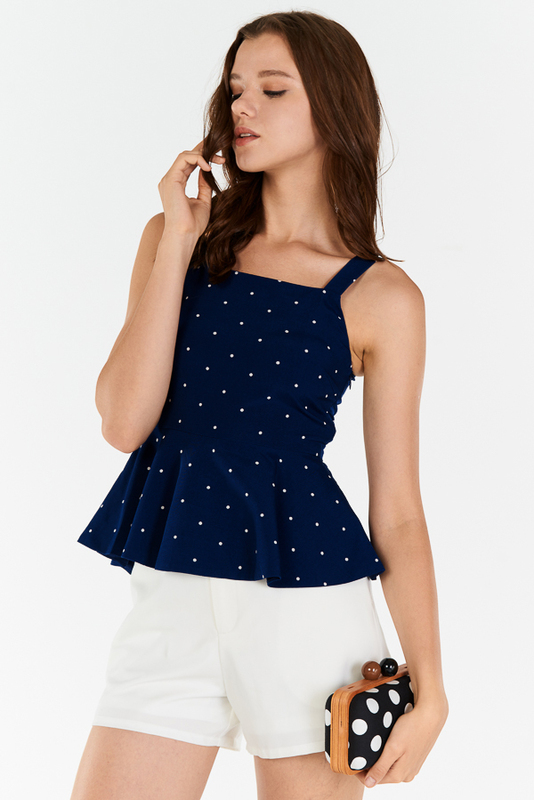 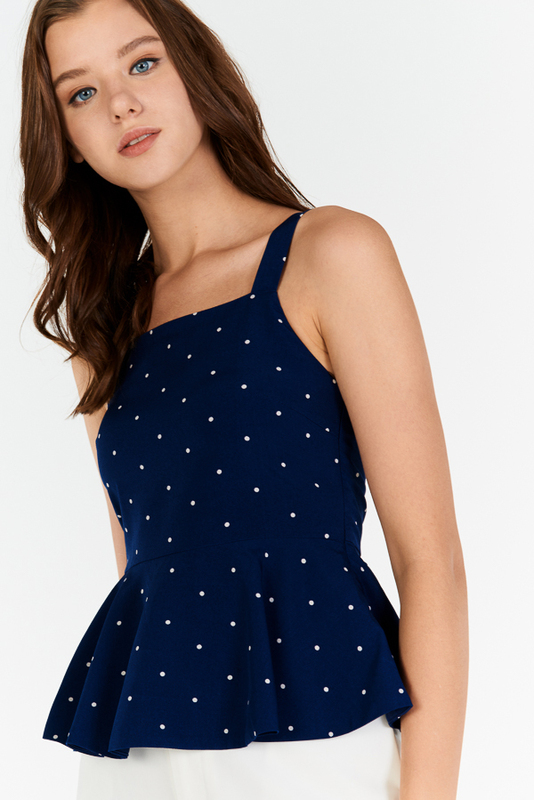 Features dotted prints all round on a navy base, complete in a peplum cut. 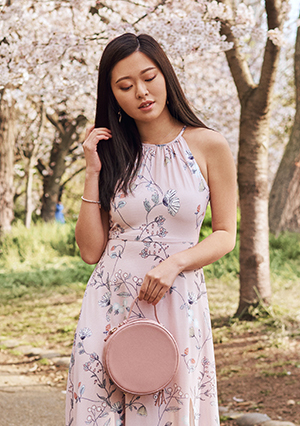 Comes with a concealed side zip closure.